BTO shipping service is available for PS5000 Series. 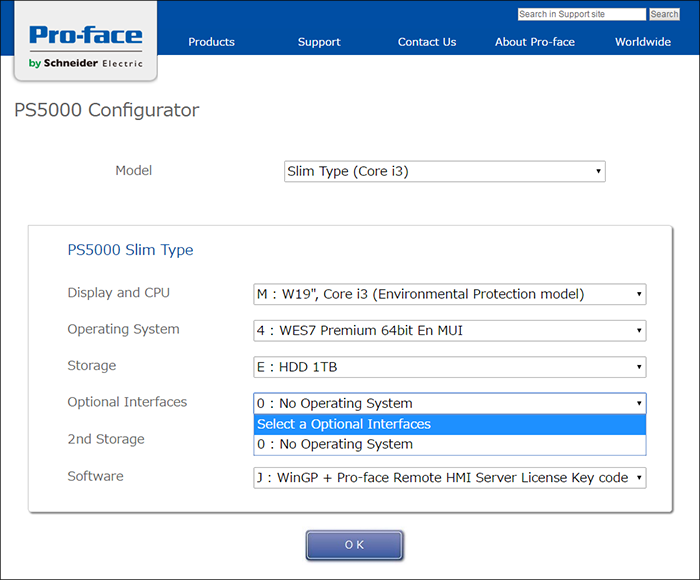 Select your desired product configuration with PS5000 Configuration*1. After receiving the product configuration PDF through e-mail, please sent the PDF with an order sheet to your local Pro-face distributor. 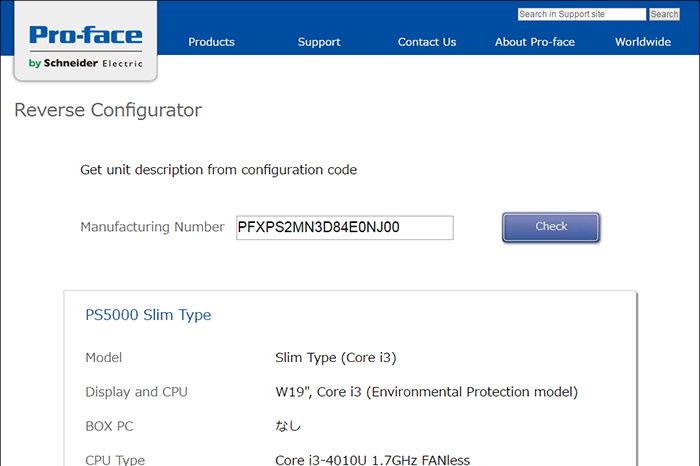 *1 For details, refer to "How to use PS5000 Configurator" below. The lead time of PS5000 Series varies depending on the country. Please contact your local Pro-face distributor. 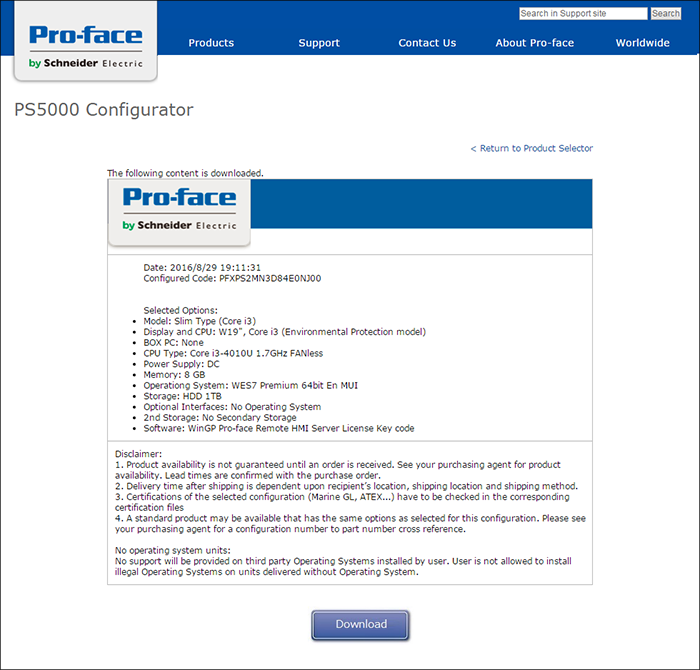 How to use "PS5000 Configurator"
PS5000 Configurator is the system that product model# can be confirmed from your desired product configuration. Select a product you order. Select your necessary product configuration on each category. Click the "OK" button in the bottom of the screen. The list of product configuration will be displayed, so order with the product model# shown on the screen to your local Pro-face distributor, or download the PDF. If you have other orders, click "Return to Product Selector" button on the upper right side of the screen. Enter the product model# you confirm in the field of "Manufacturing Number". Click the "Check" button. The product configuration of the entered product model# is displayed.